The Queensland Government Department of Environment and Science recognises the value of a clean environment, innovative society, and vibrant culture, and aims to support these goals through a range of project initiatives. Project SALI (Soil and Land Information) had been underway for over a year, aiming to transform the access, usability, and data-value of Queensland’s soils and land information, through three web applications, and the creation of two API services. One of the applications had already been built to help with the collection of data in the field, but internal infrastructure challenges prevented the team from deploying their work into production. With no demonstrable value for stakeholders or project sponsors, the project was at risk of not meeting business expectations. To deliver on these aspirations, the team needed to be able to organise their work and technical teams around products, share knowledge freely throughout the department and create predictability around delivery. Together with ThoughtWorks, they embarked on an agile transformation journey, choosing a pilot project from a larger program of work, as a foundation for scalable change. 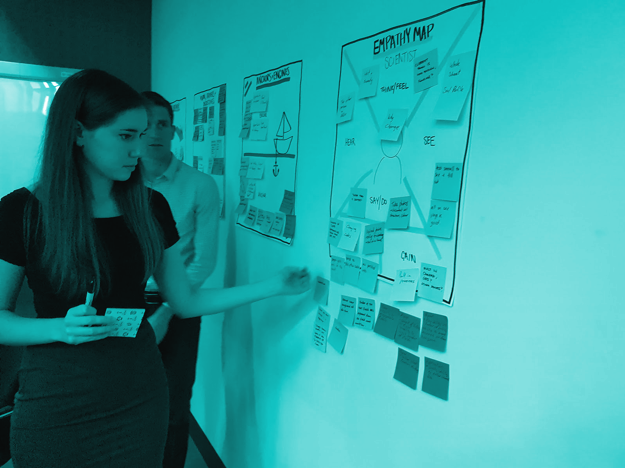 We conducted a series of interviews and workshops to map the current processes and challenges, before designing a transformation roadmap for the SALI team. With ThoughtWorks' coaches to train and support the team, we began to implement the roadmap recommendations; including setting up collaborative team practices and clear communication channels to increase the visibility of remaining work for the remaining two applications. This visibility highlighted some of the key challenges very quickly, with the top five issues identified within a week. Having this information allowed the team to manage deadline expectations, defining the minimum viable product to go live with, and reducing delivery risk for the department. Mapping out a detailed path to production, whilst understanding the end-to-end technical and organisational activities and stakeholders involved, allowed us to streamline the process, and remove blockers from the team’s path. The applications were able to be deployed successfully to production before the deadline. Agile practices have been successfully embedded in the team, enabling effective communication and the ability to predictably deliver quality software to production. Through coaching, the team has developed its own toolkit for continuous improvement, so that they can continue to improve and adapt their processes independently. The Department has already begun planning for the next phase of delivery, continuing and scaling their transformation journey. ThoughtWorks has been the strategic partner we needed to tackle our innovation agenda and address legacy challenges, making tremendous contributions with delivery, upskilling, process and capabilities improvements for this program.